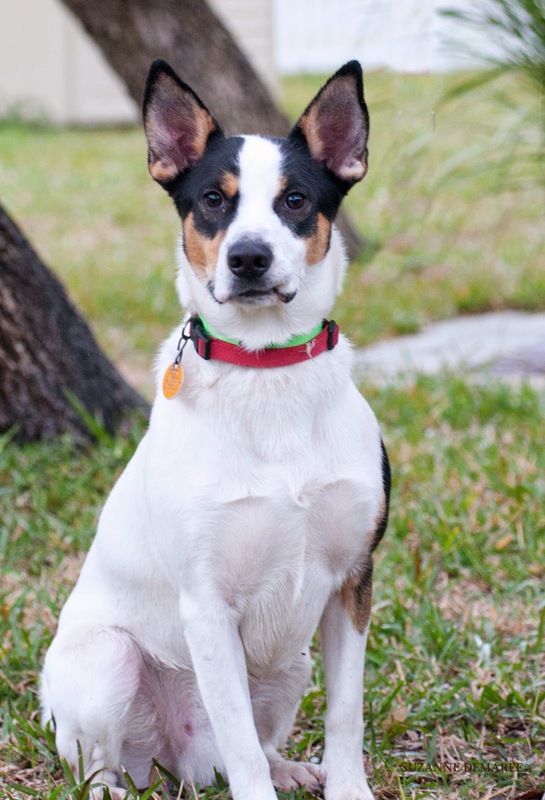 Pet Adoption | Humane Society of Rockport-Fulton: JoJo Needs a Family to Save! Meet JoJo, a super-hero with an astounding alter ego. By day, this young boy is a mild mannered lovebug who enjoys belly rubs, long walks on the beach, ferris wheels and candlelight dinners. But when the ears go up and the mask goes on, this fairly unremarkable spare-parts dog becomes a phenomena of monumental proportions. No, he can't leap tall buildings in a single bound, nor can he stop bullets with a bracelet, although he's really fast. He doesn't wear a cape or tights, but his mask does include superior ears. When JoJo has his Super-Dog costume on, he turns into a running buddy, a ballplayer and an entertainer all in one furry body. He's also able to wipe away tears with a single swipe of his tongue, listen to the deepest, darkest secrets with barely a twitch of those ears and that magnificent tail becomes an instant smile maker. So, if you think that you may have a hidden headquarters spot in your family for this exceptional pup and can keep his identity a secret, come on out and meet this Super-Hero.